The Gandl Bakery, a gingerbread manufacturer in the Austrian village of St. Wolfgang, was founded in a medieval inn frequented by pilgrims in the fourteenth century. Like Rome and Aachen, St. Wolfgang was an important pilgrimage site of the period. Home-made gingerbread, especially well-liked by the pilgrims, was a treat packed for the difficult journey home. The inn became a bakery and confectionery in 1806 and has been a family business ever since. Barbara and Fritz Gandl run the shop today. Many years ago, the Gandl family set out to complement their confectionaries with premium quality gingerbread. Opposed to large-scale industrial production, the Gandls chose to make everything by hand. Fresh and local additives, preservatives and select ingredients result in unsurpassed gingerbread and set it apart from mass produced goods in quality, taste and shelf life. 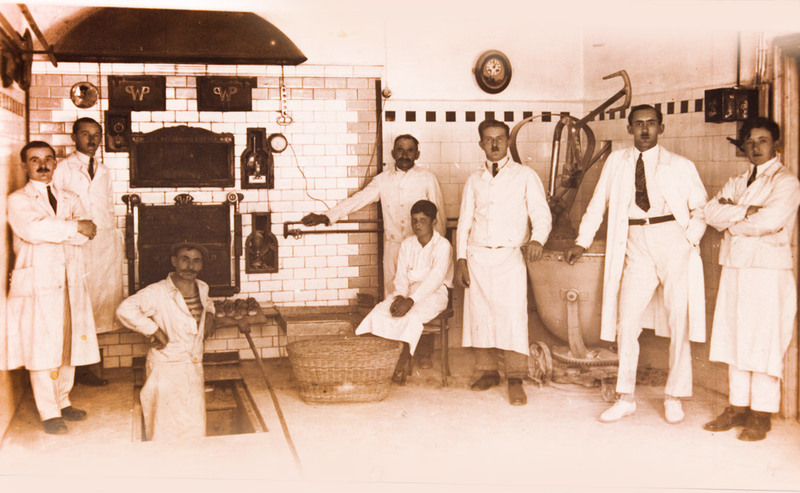 The early confectionary shop was rebuilt into a modern, open-view gingerbread bakery with an elegant showroom. Group tours can be organized upon request in order to observe production up close, to help with decoration and to sample the gingerbread. The assortment has been consistently enhanced over the years. Although gingerbread comes in many variations, the “Wolfganger Nut Cake” is especially popular. Even the packaging has been perfected. A special foil guarantees freshness for months. We have begun to export our gingerbread out of Austria and into Germany, Holland and the UK.